So, I finally joined the Pinterest train, and I am in love! It is so much fun. There is so much inspiration for DIY projects, crafts, parties, and home design. Seriously, it’s heaven. But, like many bloggers, I don’t want to pin stuff and never actually create anything. 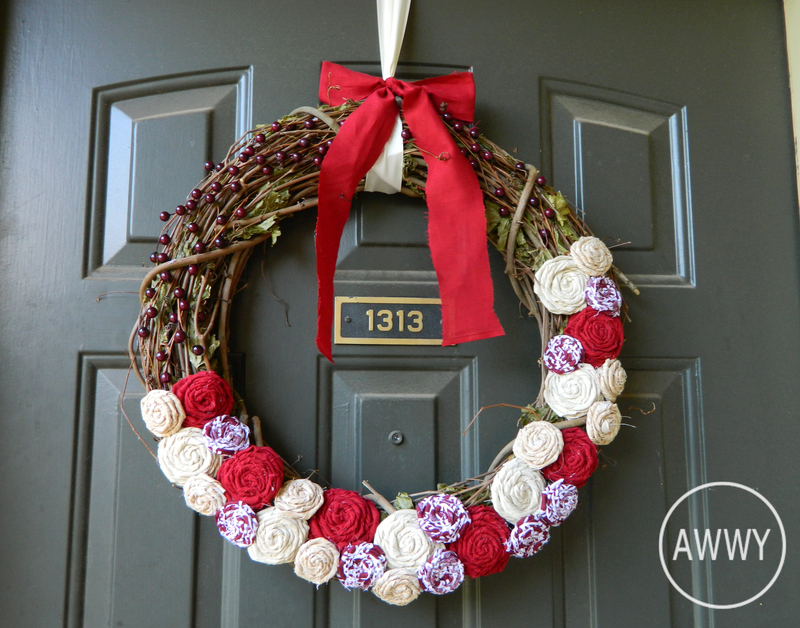 So I set out to create a few of my favorites and first up, I made a holiday wreath. Usually, I’m not really really a fan of traditional fall decor. My home design preferences are usually brighter and color colors like blue and greens and the warm tones of fall doesn’t really fit, in my opinion. 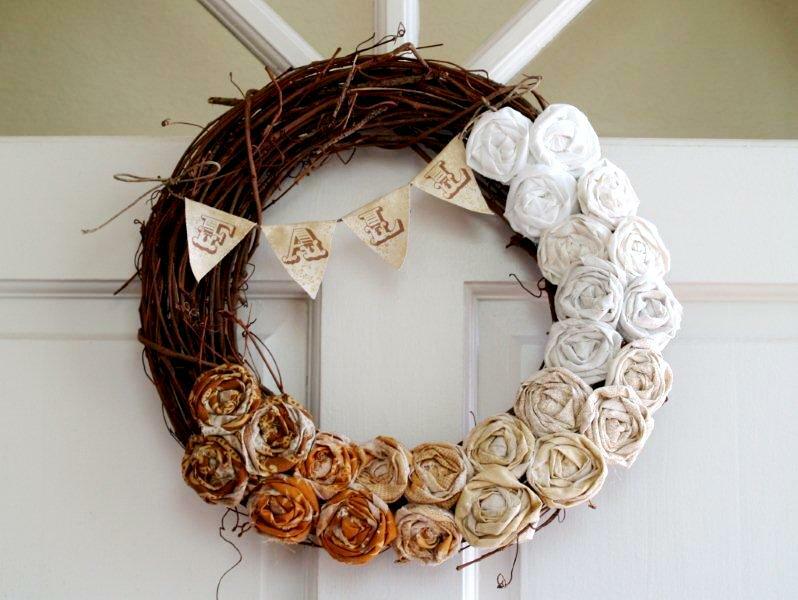 But these two wreaths below, I love! 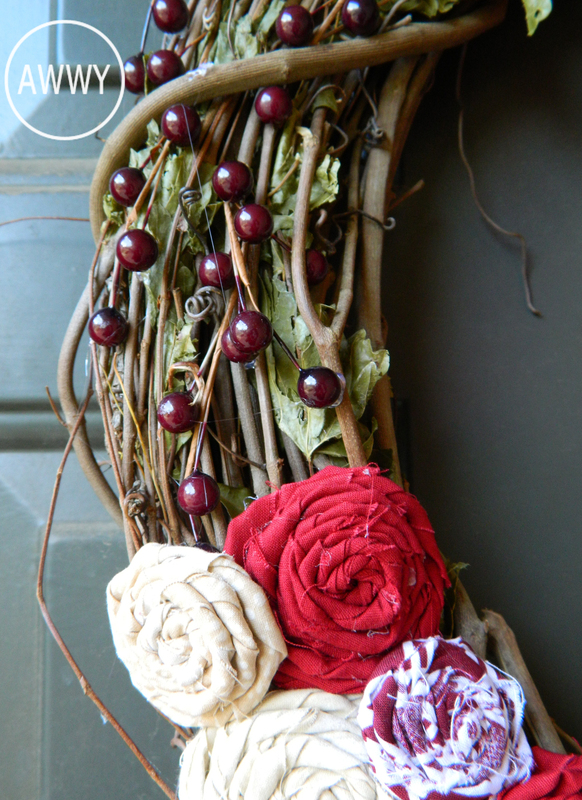 I love the berries and deep reds of the first wreath and, of course, the flower rosettes of the second. So here’s my combination. 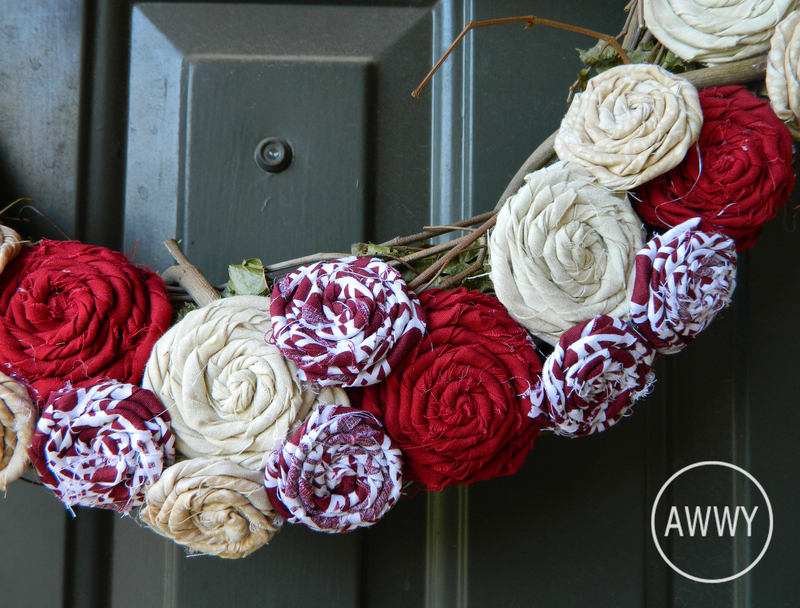 I picked up an inexpensive wreath from Wal-Mart and some clearance fabric scraps from Hobby Lobby to make fabric rosettes. A few episodes of “The Office” later, I had enough to cover about half of the wreath and start hot gluing them on. The berries were already owned from last Christmas so I threaded them in. I also used a left over shred to make a rustic bow for the top. I think I’ve found my ideal fall decor. Deep wine reds with neutrals tied in. Gorgeous! 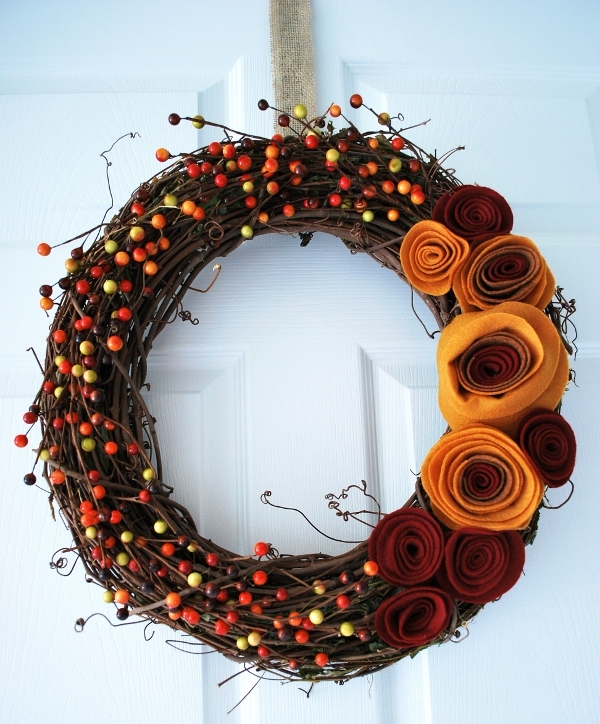 And not only does this wreath look great for fall, but it could also easily transition into a Christmas wreath with a few tweaks like more metallic accents and a bunting message like in the second inspiration picture. I love it! All together, I spent about $8.00 total. Yes! Tutorials for both inspriation pictures can be found in their links. 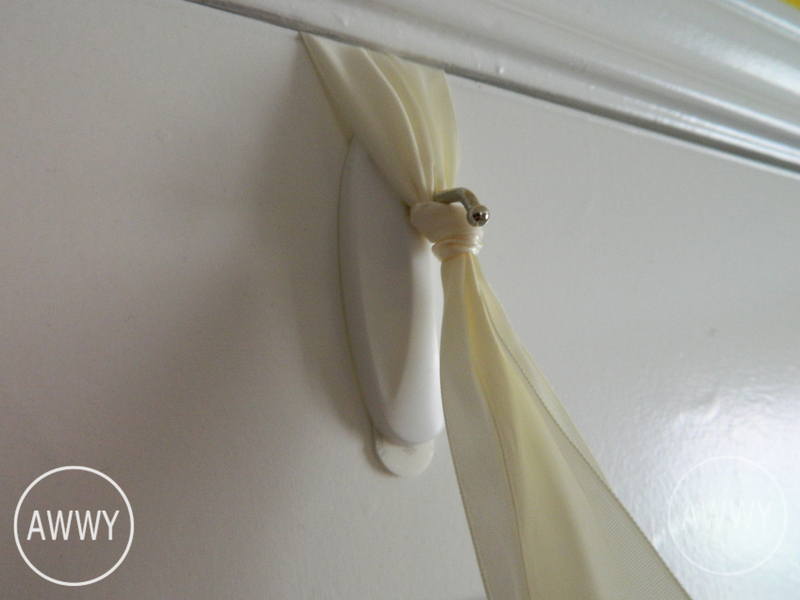 Check back later this week for some more Pinterest inspired craft projects! ← Check In + Update = Check Up? New Years Resoultions 2012 ed.